Details matter! It’s easy to overlook common hardware like doorknobs and drawer handles while working on a new interior decor theme, but these small items can make a world of difference when it comes to crafting a cohesive aesthetic ? light switch covers included! This list compiles 25 decorative light switch covers to help pull your interior design together. Whether you’re looking for a rustic style to match your new kitchen, or need geeky wall decor for your media room, we hope you’ll find something you’ll love to use and look at every single day. You can even use this list to find useful housewarming gifts for your friends! Frankenstein Throw Switch Plate: Science fiction fans are sure to appreciate this unique piece ? 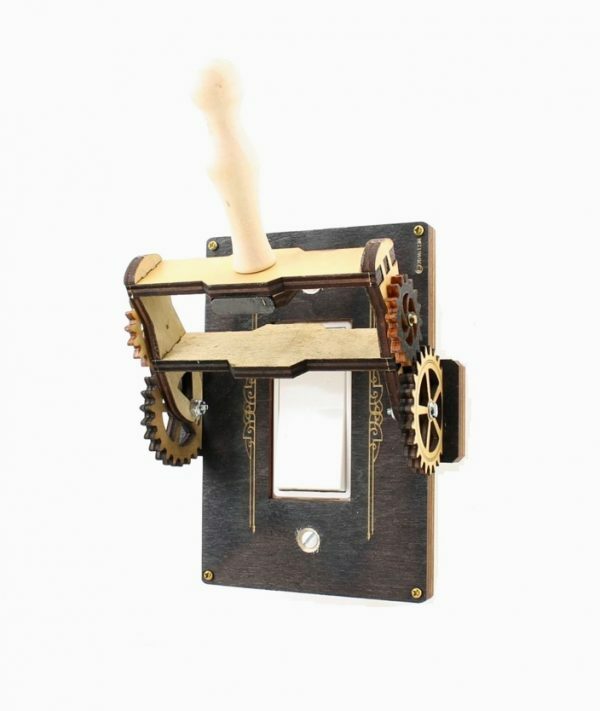 rather than simply flipping a switch, now you can throw a lever like a real mad scientist! Simply replace the cover for your existing decora-style switch and enjoy.